Matie Community Service’s (MCS) Adult Education and Training (AET) programme has been named the best in the country at the recent 2013 National Adult Learners’ Week Awards Ceremony held in Gauteng. This is the second time in four years that MCS received this prestigious prize. pportunity to say thank you to the many educators and learners who dedicate their service to community development through adult education and training. MCS in turn is one of Stellenbosch University (SU) Community Interaction’s Flagship Projects. 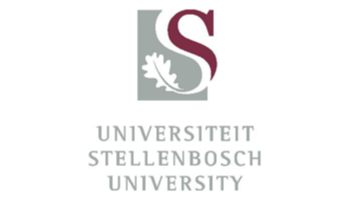 It also forms part of SU’s HOPE Project a campuswide initiative through which the institution uses its teaching, research and community interaction expertise to create sustainable solutions for some of the most pressing challenges in South Africa and Africa. The AET programme was launched in 1991 as part of MCS. Its core objective is to develop the lives of farm workers; illiterate and semi-illiterate adults; the unemployed; people with disabilities and out of school youth through skills development and education. For the past two years matric classes have also been offered at the centre. Participants may either focus on improving their schooling through the education programme or take part in the skills development programme. The education programme runs classes every week where participants are taught according to AET education levels. They are also prepared for examination and offered career guidance. As part of the skills development programme, participants may choose to do needlework and beading; vegetable gardening; video production; computer literacy or cooking and baking. In addition to the training, participants are taught business skills and showed how to start and market small businesses. According to Ms Linda Jacobs, Senior Programme Manager of MCS’s AET programme, the judges considered various qualities when it came to assessing the winners. These included, a proven track record of excellence and making the best possible use of available resources, demonstrating a commitment to community development and ensuring the learning programmes are accessible and relevant to the needs of the broader community.